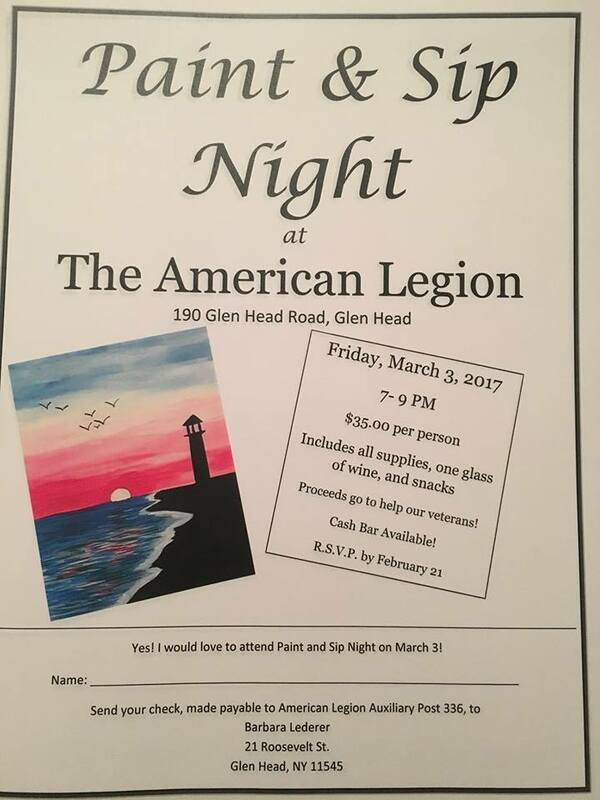 Fri. 3/3 - Paint and Sip Night at the Glen Head American Legion Hall, 7-9 pm; . st Public Library Board of Trustees Meeting, 7 pm; Sat. 3/4 - Ranger Sailing Program Art Show and Auction Fundraiser, Sea Cliff Yacht Club, 7 pm; Sun. 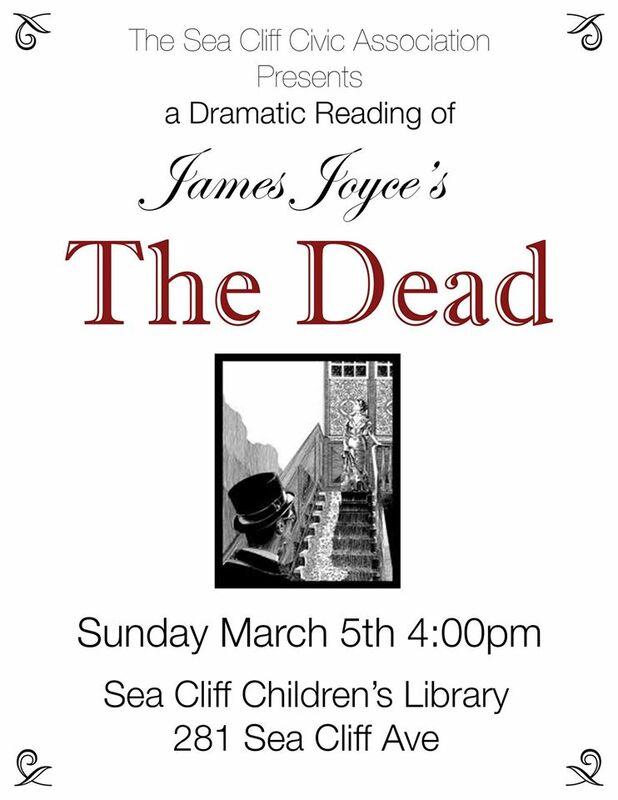 3/5 - A Dramatic Reading of James Joyce's The Dead, Sea Cliff Children's Library, 4 pm. This past February 12, a dozen-odd Sea Cliffians - dead ringers for early 20th century Dubliners- performed a dramatic reading of James Joyce's classic short story that through its dialogue delves deeply into themes of national devotion, unpursued desires, devitalizing routine, and of course death. The Dead, adapted for the Stenson Memorial Library stage by Sea Cliff's dramatic duo, Dan DiPietro and Fred Stroppel, will be revived on Sunday March 5 at 4 pm. 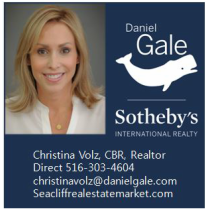 I urge you to join me in supporting our neighbor Deb McDermott’s candidacy for one of the two open seats on the Sea Cliff Village Board in the upcoming elections. ​ At our nation's birth Thomas Jefferson wrote, " The art of government is to be honest." Dear Great Book Guru, While celebrating Presidents’ Week with friends and family, a group of us decided to form a book club which will focus on works new and old which might help us understand the present political climate. Do you have any suggestions? 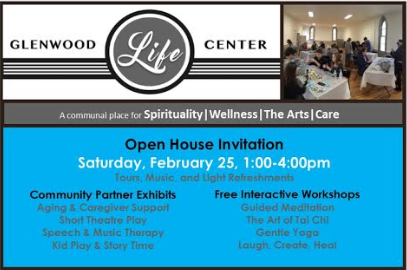 The Glenwood Life Center will be hosting an Open House on Saturday February 24 from 1 to 4 pm. Located at 71 Grove Street in Glenwood Landing, the former home of the Glenwood Presbyterian Church, the Glenwood Life Center is a positive and engaging environment, from home and work, to create intentional, collaborative, and life-giving community. 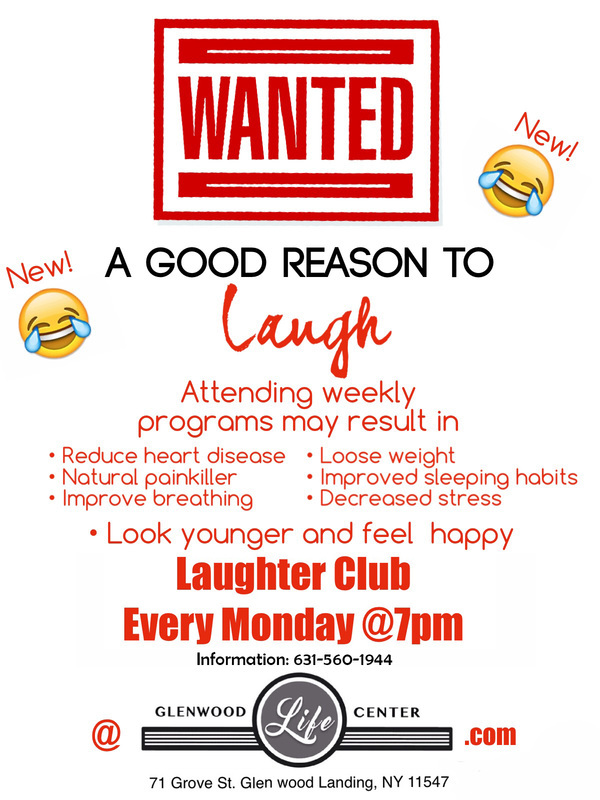 GLC seeks entrepreneurs, teachers, artists, coaches, practitioners, musicians, all ages, professionals, non-profits, neighbors, families... people "ready" to share their talents and passions for the benefit of others. A community, where diversity intersects with understanding, through co-working, forums, workshops, events, social and professional networking, meetups, gatherings, parties, lessons, and live performances. GLC, a communal place for Spirituality, Wellness, The Arts, and Care, will encourage a healthier North Shore and more compassionate World. 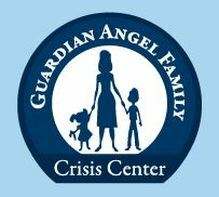 Click here for link to GLC's website. 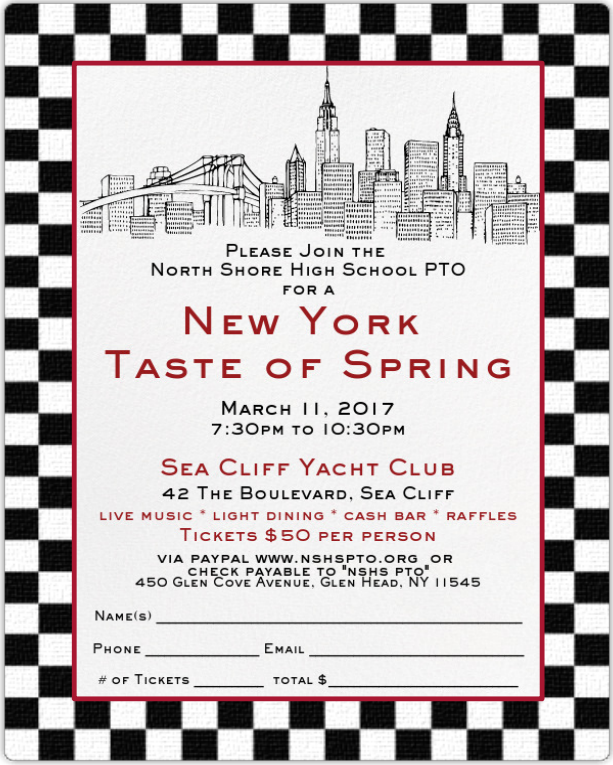 The North Shore High School Parent Teacher Organization will be holding its 6th annual Taste of Spring fundraiser at the Sea Cliff Yacht Club on March 11th 2017. 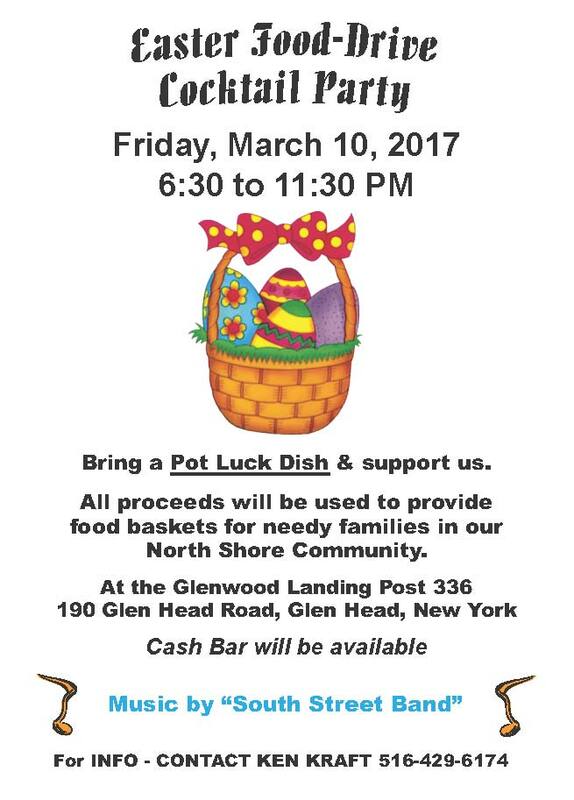 This fundraiser showcases delicacies from local restaurants and marketplaces and guests can look forward to sampling some of the tastiest foods from the finest eateries on Long Island. This year, the theme will be "New York, New York." 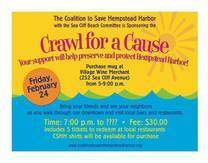 Proceeds will go toward enriching our high school students through educational and social programs and grants. 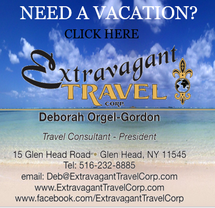 The cost for the event is $50.00 per person. Fantastic raffles will be available as well. 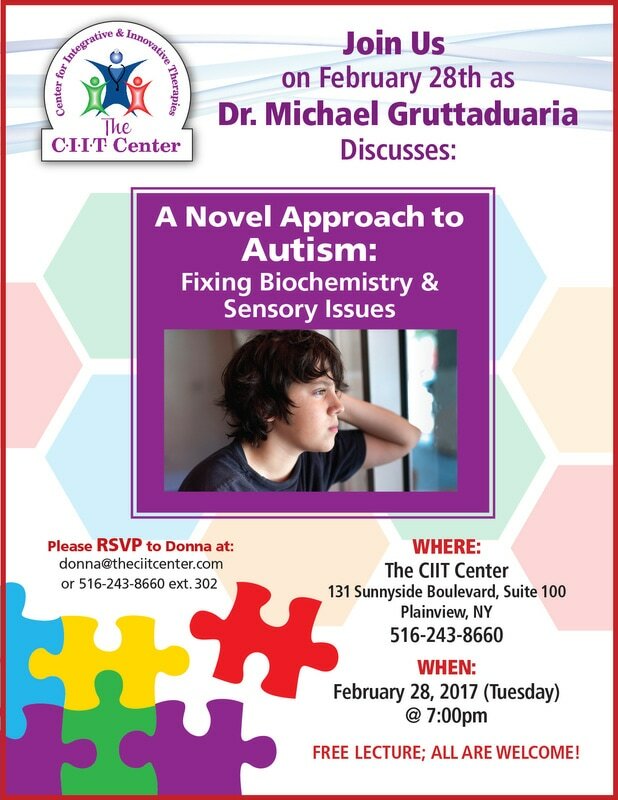 For more information about the event go to www.nshspto.org. Come and enjoy delicious pirogi and borscht! Add to your collection of Russian Easter eggs or lacquer boxes! The Church of Our Lady of Kazan will hold its annual Easter bazaar on Saturday, March 18th from noon to 4 p.m. 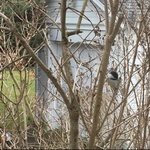 The bazaar, which has been a Sea Cliff tradition for decades, will be held in the parish hall of St Luke’s Episcopal Church, on the corner of Glenlawn and Glen Avenues, Sea Cliff. 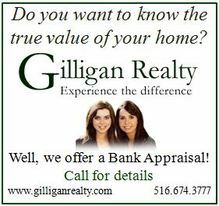 The bazaar information line is 516 468-1579. We will have Russian Easter eggs, gift items, jewelry, and Russian food and pastries. 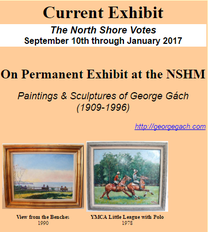 The Ranger Sailing Foundation will be holding an Art Show and Auction on March 4th, 2017 at the Sea Cliff Yacht Club located at 42 The Boulevard. The show starts at 7PM with an auction at 9PM. 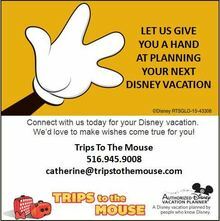 The proceeds from the auction will be used to support the foundation’s sailing scholarships for underserved children in the area. Last year the foundation provided two sailing scholarships and boats for inclusion into the Junior Sailing Program at the yacht club. This year the goal is to provide four scholarships. The Ranger Sailing Foundation was started by past commodore Harvey Bass in memory of his dad a decorated World War II U. S. Army Ranger who participated in the D Day invasion at Normandy. The awarded scholarships will also meet the mission of the Sea Cliff Yacht Club to promote sailing and remain active in the community. 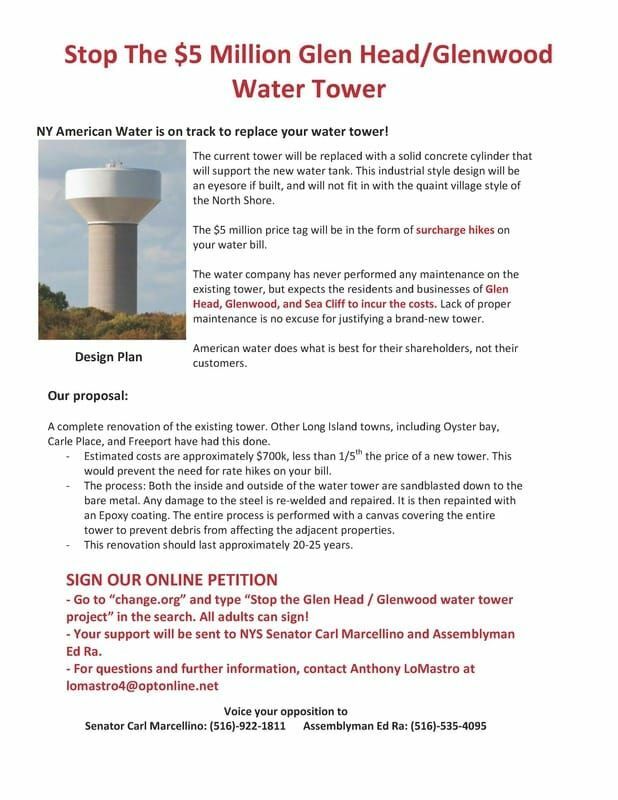 If you are unable to attend the show donations can be sent to Ranger Sailing Foundation, 42 The Boulevard, Sea Cliff NY 11579 a recognized 501 (c)(3) charity.